Simon's Auto Body . : Blog | 4 reasons to buy a 2013-2018 Nissan Altima. :. With the Altima, Nissan has had a competent midsize sedan on the market for more than two decades. The Altima was introduced back in 1993. Since then, it’s evolved considerably, blossoming into a roomy family sedan that offers engaging driving dynamics. The Nissan Altima’s fifth generation was produced from 2013 to 2018. This generation is new enough to offer modern feature content, yet old enough to give used-car shoppers a respectable range of choices. And this generation provides some notable advantages over previous versions of the popular sedan. Below, we’ve listed four reasons for buying a fifth-generation Altima sedan instead of previous models. Family cars like the Altima often log a lot of miles. Choosing a model that offers good gas mileage can help you keep a handle on your monthly fuel expenses. The fourth-generation 2012 Altima offers fuel economy of up to 23/32 mpg city/highway. With the introduction of the fifth generation, the Altima’s fuel efficiency improved by a significant margin. Gas mileage for the 2013 Altima tops out at 27/38 mpg. These numbers make the Altima one of the most fuel-efficient family sedans from that year. It offers better mileage than rivals like the 2013 Honda Accord and 2013 Chevrolet Malibu. Those sedans achieve mileage of up to 26/35 mpg and 25/36 mpg, respectively. Road noise can be extremely annoying when you’re behind the wheel. It can intrude on your experience when you’re trying to listen to music on the stereo. And it can make it difficult for you to have a conversation with your passengers. 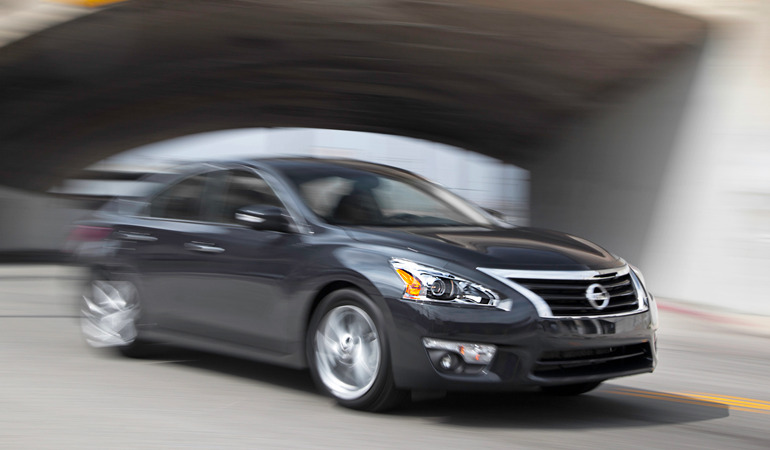 With the Altima’s 2013 redesign, improvements were made that gave this sedan a quieter cabin. This model gets a more rigid body, and this reduces creaks and rattles. 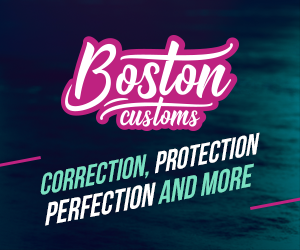 The side mirrors and A-pillar moldings were redesigned to minimize wind noise, and the engine and exhaust mounts have been improved for quieter performance. Nissan also increased the amount of noise absorption materials used in the Altima’s floor mats, roof and instrument panel. There can be notable differences in the comfort level offered by a vehicle’s seating. Comfortable seating is important for all drivers, but it’s especially vital if you suffer from back or shoulder problems. Seats that are too firm and unyielding can cause pain and discomfort for those wrestling with these conditions. Amenable seats are also critical for those who do lots of driving. Nissan gave the Altima’s seats a space-age makeover with the advent of the fifth generation. These models are equipped with seats that Nissan says are inspired by the weightlessness of space. To craft them, Nissan tapped seating and posture research conducted by the National Aeronautics and Space Administration. According to this organization’s research, to minimize fatigue, seats should encourage the occupant to adopt a neutral posture. This posture is similar to the relaxed pose that the human body takes when it’s in the weightless environment of outer space. Known as Zero Gravity Seats, these chairs are designed to reduce stress on the bones and joints and provide support for the spine. They feature 14 different pressure points that are intended to encourage a neutral sitting position that maximizes blood flow and keeps your energy levels up while you’re behind the wheel. The seats are a lot more agreeable than the chairs in the Altima’s fourth generation. If pleasant seats are a priority in your search for a used Altima, you’ll want to limit your choices to models from the fifth generation. Today’s drivers have a lot of help when they’re behind the wheel. Modern cars offer active safety features that are designed to provide support in critical driving situations. These features have the power to help prevent collisions. With the fourth-generation Altima, the list of active safety features began and ended with a rearview camera. Fifth-generation cars bring in a much broader range of driver-assistive amenities. The lineup of optional equipment includes a blind-spot warning system, a lane-departure warning system and rear cross-traffic alert. With upgrades like better fuel economy, more comfortable seats and a broader range of active safety features, the fifth-generation Altima is a big step up relative to previous models. It’s an excellent choice if you’re looking for a used family sedan that’s capable and up-to-date.